Home BusinessAuto Are Pre-Owned Vehicle Purchases Surpassing New Car Sales? Buying a used car versus a new one can save you money. If you are interested in buying a luxury model that you can’t afford to buy new, the used option is very appealing. However, you don’t want to get yourself into a situation where you spend money on a vehicle that has a mysterious past and might not be mechanically sound. Rather than sending returned vehicles to auction, automakers developed Certified Pre-Owner (CPO) programs to capitalize on the value of low-mileage lease returns and trade-ins. Other perks offered by manufacturers include discounted financing options, roadside assistance, and free loaner cars. These benefits are great, but the costs are ultimately passed on to the buyer. Since you’re paying a costly premium, CPOs may cost more than regular used cars. While buying a new car is enticing, you should pay attention to how much money you can save purchasing a used vehicle instead. The National Automobile Dealers Association reports that the average person owns 13 cars in a lifetime, each costing an average of $30,000. If these 13 cars were purchased used rather than new, those drivers could have saved approximately $130,000 during their lifetime. What accounts for this huge differential? The answer lies in the definition of “depreciation.” A car is not like a home that can increase in value over time. Instead, the minute you drive out of the dealership, your new vehicle loses monetary value or depreciates between 10 and 20 percent. In an interview with CBT Automotive Network, Jeff Dyke, President of Sonic Automotive, talks about the state of the used car industry and other related topics. Edmunds Media published a report stating that the average price of used cars shot above the $18,000 mark last year because consumers are looking for younger used vehicles. Edmunds projects used-vehicle sales could reach $41 million this year, the highest level since the recession. Prices for all used vehicles regardless of age rose 2.2 percent to a record $19,657. 2019 is expected to show a decrease in the purchase of new cars as a result of increased prices and rising interest rates. The used car market is expected to show a renewed interest. By adding a marketplace for cars, Facebook makes it easy for users to search for different vehicles based on make, model, mileage, and other specifications. Cars that appear in search will also be featured on different car dealers including Cars.com and Edmunds. This site is an aggregator where you can look through multiple car websites in one search. It has an enormous database of over 24,000,000 listings. Autolist also offers tools to analyze prices, research pricing history, and reviews. With over 50,000 cars in their database, CarMax offers clearly posted prices, customer service, and financing options. They also offer customer service sales consultants to answer any questions you have. 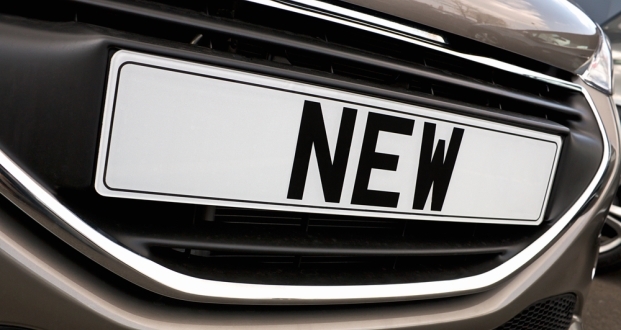 The statistics above show how the used car market is surpassing new car sales. Buying a used car will save you money by avoiding depreciation, getting you more for your money, and enabling you to spend less on insurance costs. Renault-Nissan Fighting To Keep Pace!